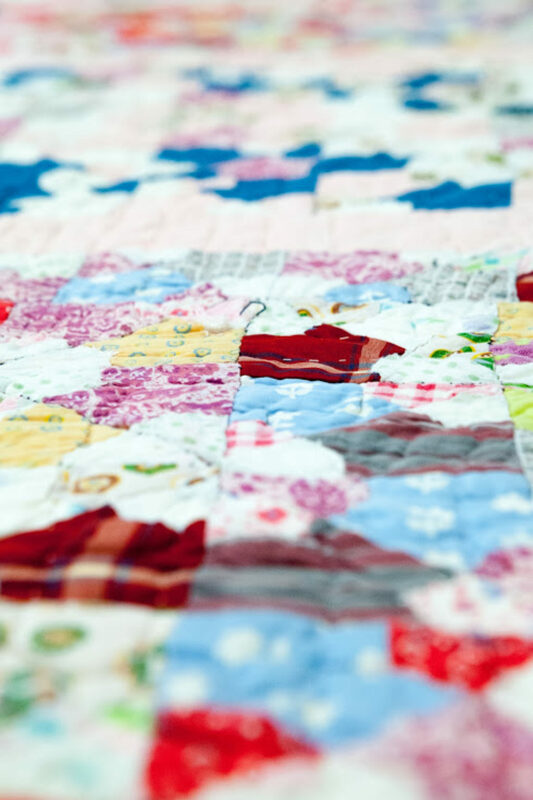 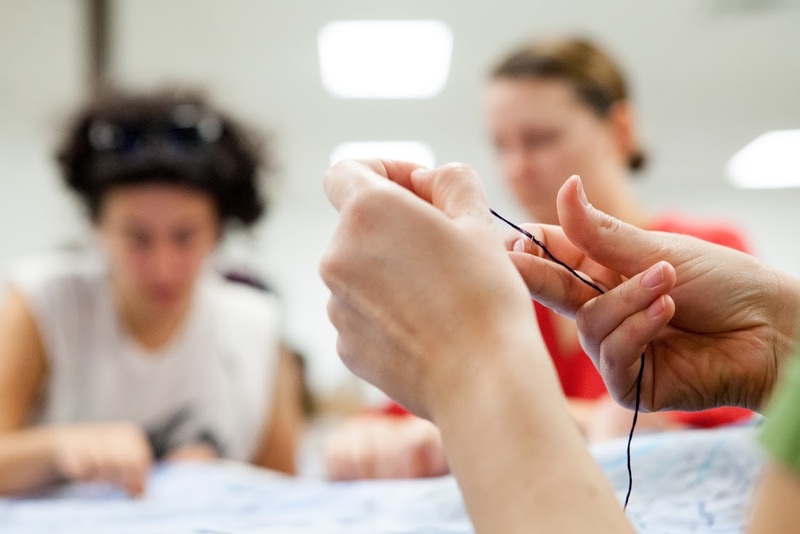 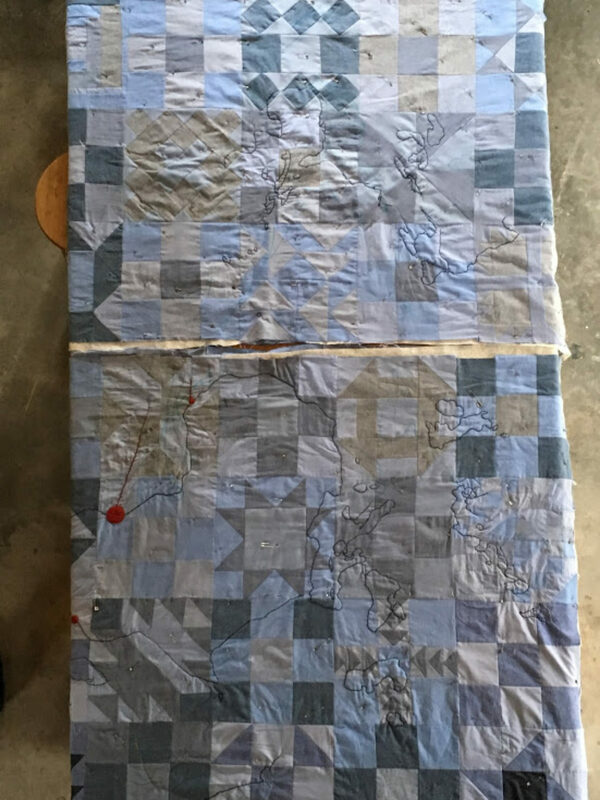 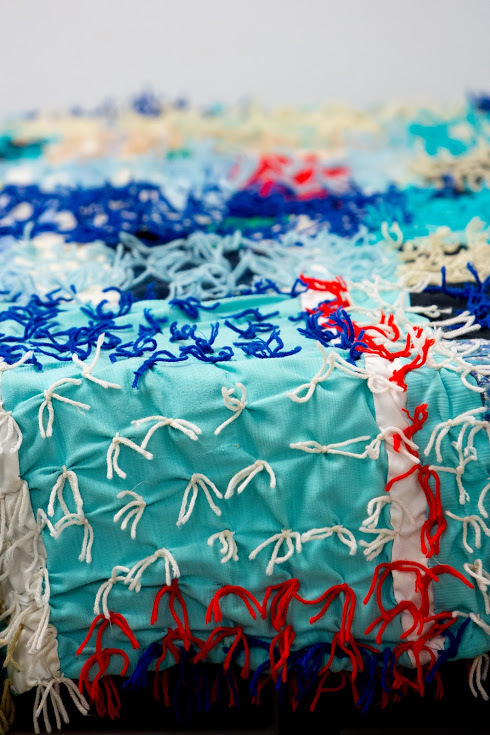 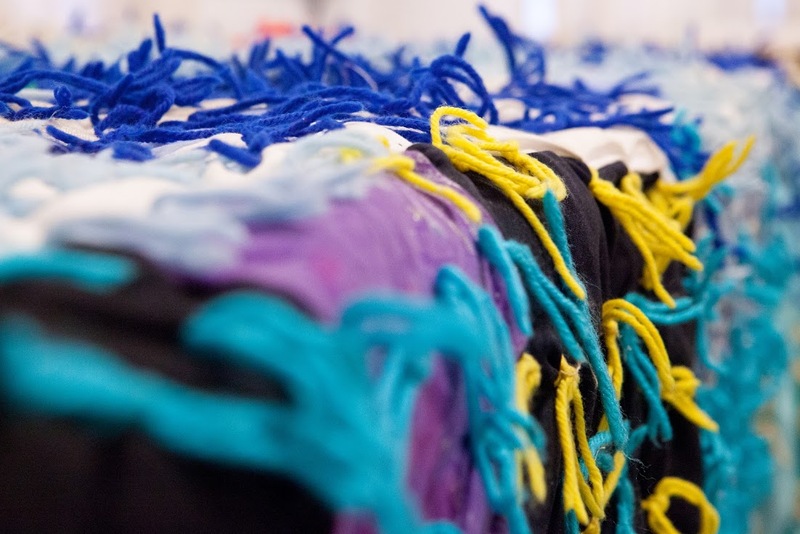 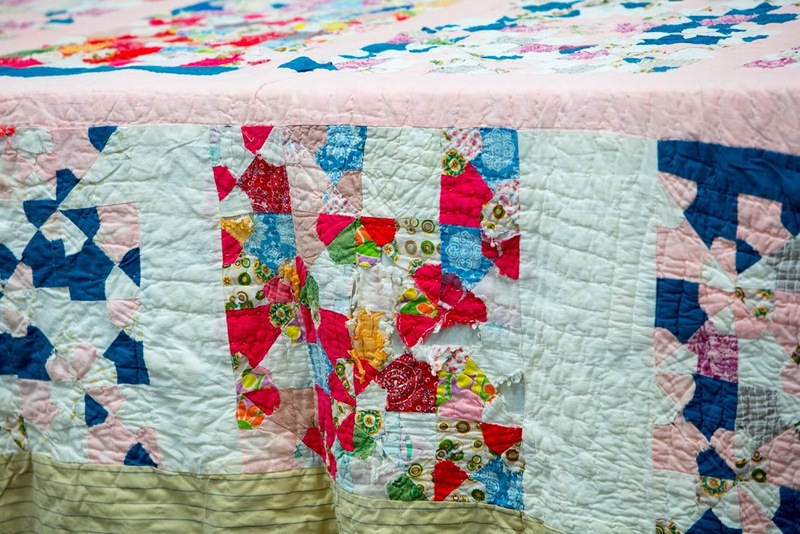 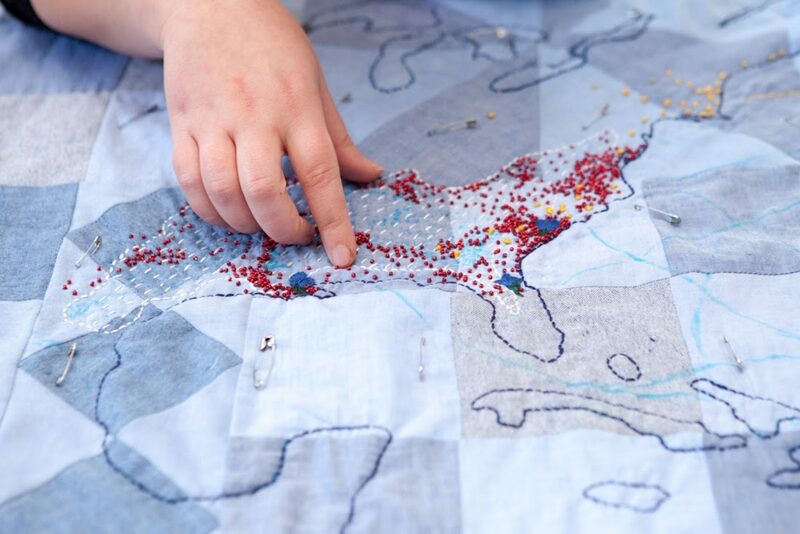 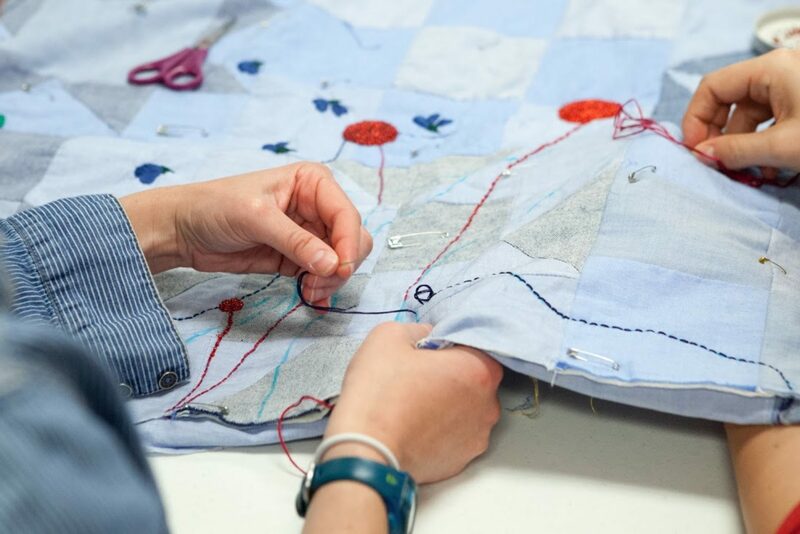 Blakeslee Gilpin assisted Rachel Wallis with research and mapping to inform a community-quilting project exploring the links between textiles and the historic and current global slave economy. Rachel worked with high school students from New Orleans Center for Creative Arts who helped her design and map the slave and trade routes to be incorporated into the quilt. 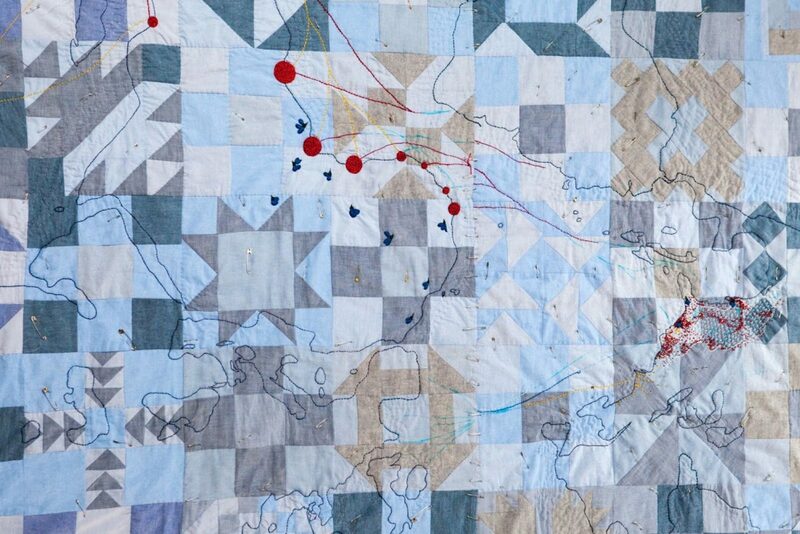 Participants in three public quilting circles embroidered these routes onto the quilt while hearing from guest speakers. Gilpin spoke about connections between the slave trade and textile production. 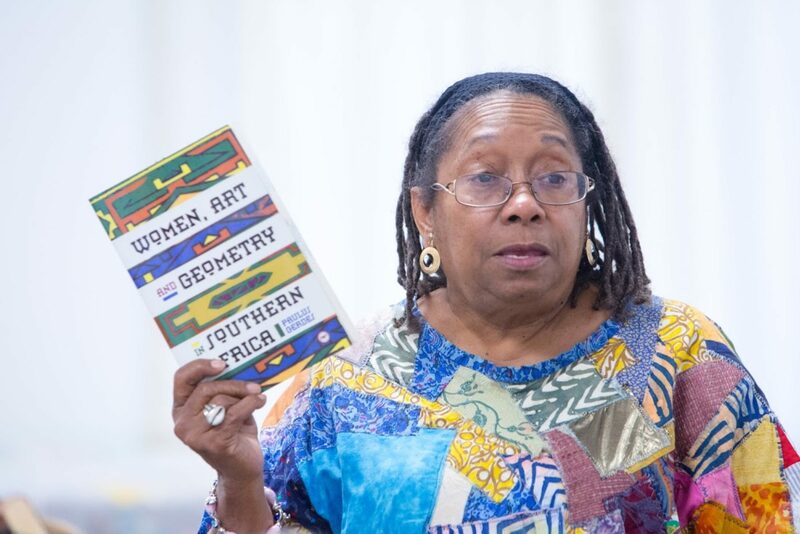 Master quilter Cecelia “Cely” Tapplette-Pedescleaux spoke about the ways in which African American craftswomen used quilting as historical transmission, wayfinding, and resistance. 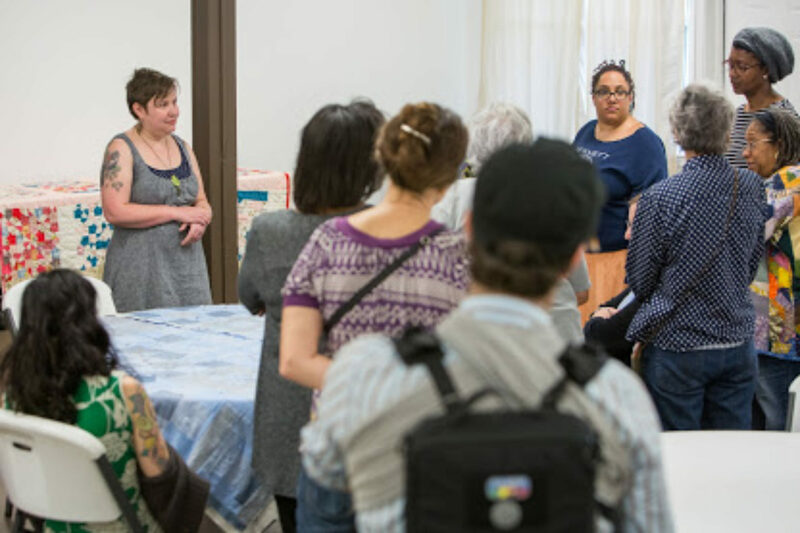 Journalist Stephanie Hepburn presented on contemporary issues around human trafficking, labor exploitation, and working conditions in the textile industry. 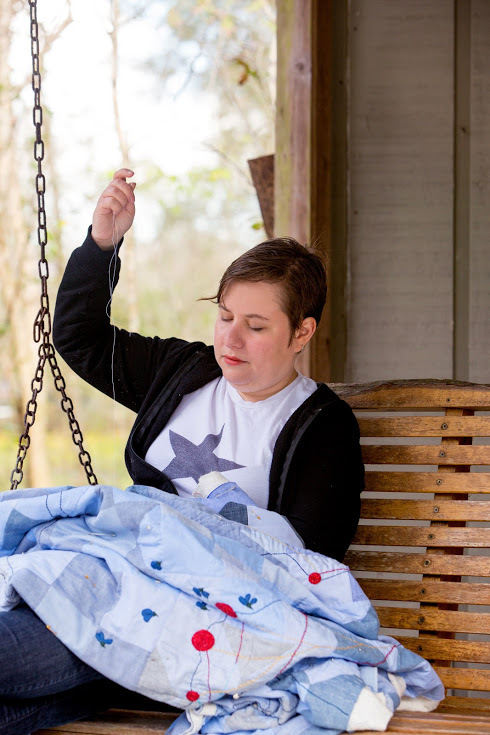 Rachel Wallis is a self-taught crafter, artist and activist. 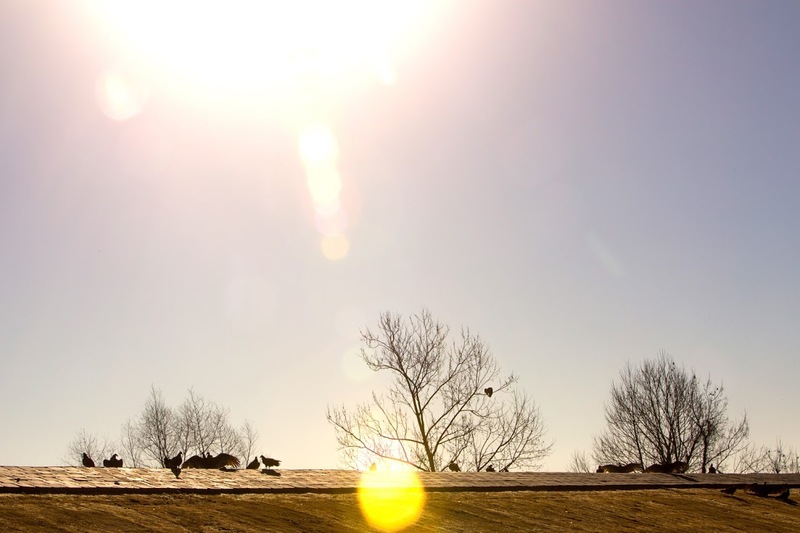 She is interested in transgressing the lines between fine art and craft, and engaging in questions of identity, labor and value when it comes to the creation and appreciation of art. 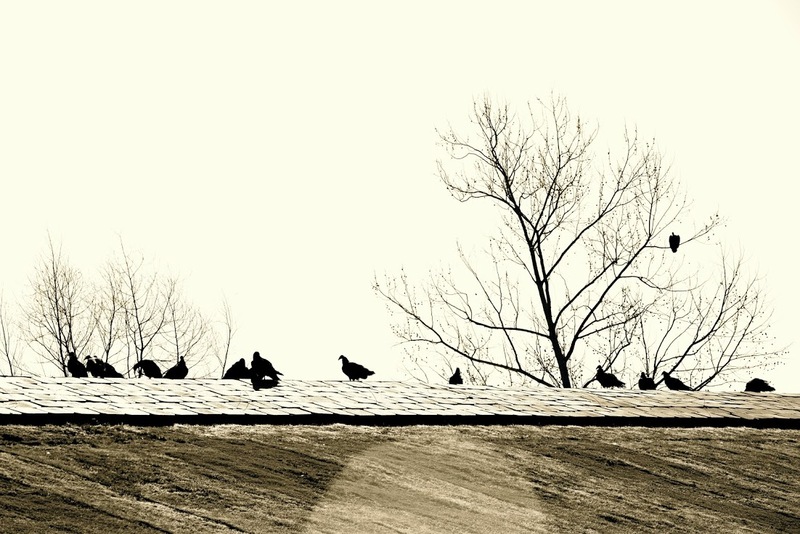 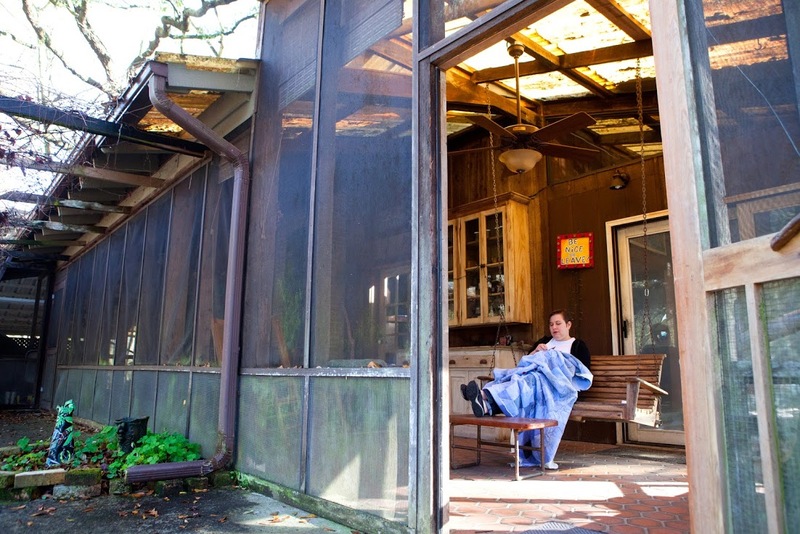 Her current work focuses on collaborative community quilting projects.